“A stellar cast” (Jeffrey Lyons, Lyons Den Radio), including Oscar® winner Kevin Costner*, Oscar® nominee Hailee Steinfeld** and Amber Heard, lead this “undeniably entertaining” (Frank Scheck, The Hollywood Reporter) action-thriller. 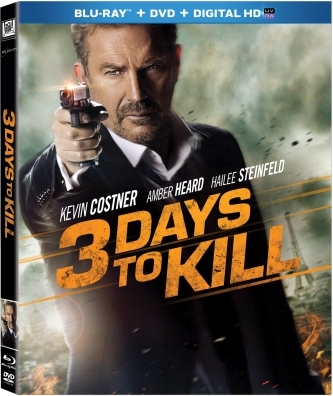 Costner plays a daring International spy with lethal skills and a hard-earned reputation for tackling the most dangerous missions imaginable. But when a seductive CIA operative (Heard) makes him an offer he can’t refuse, he’s forced to juggle his two toughest assignments yet: looking after his rebellious teenage daughter (Steinfeld), while hunting down the world’s most ruthless terrorist. Join The Pixar Easter Egg Hunt!